It’s time once again for another entry from the “They Can’t All Age Gracefully” file. This time around it’s a 1960 Chevrolet Brookwood station wagon. The Brookwood was the wagon equivalent of Chevy’s least expensive full-size series, the Biscayne. Interesting to note that 1960 was the final year Chevy offered a full-sized two-door station wagon, and only in the Brookwood series. 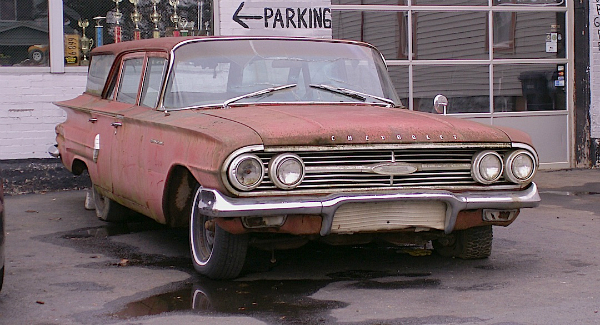 This well-patinated four-door example was found last week on Buffalo’s West Side. Jim Corbran, RRofWNY …and check out our Facebook page: Non-American Classic Cars The post RealRides of WNY appeared first on Buffalo Cars.